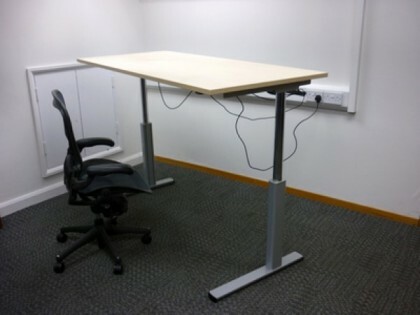 Sick of staring at the same grotty desk day in day out? 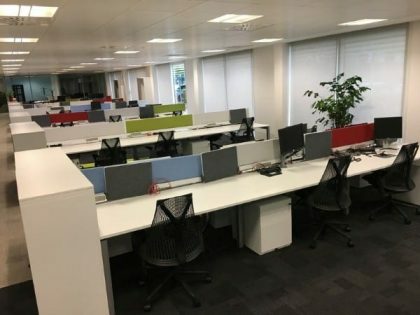 Had an influx of new starters within your business and nowhere to seat them? 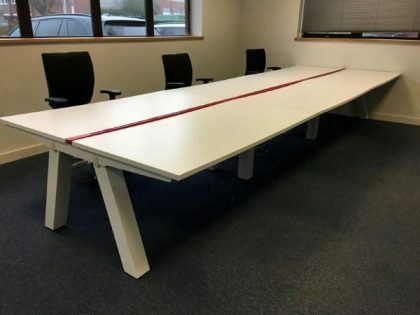 Does your breakout room need a boost? 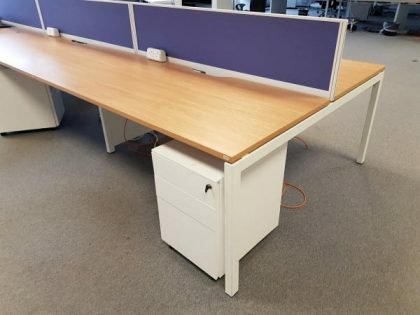 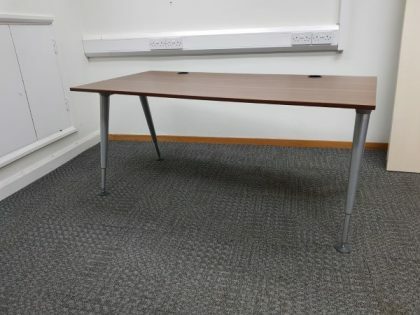 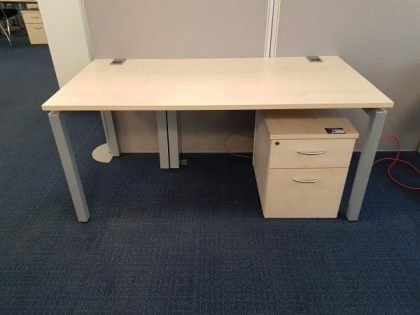 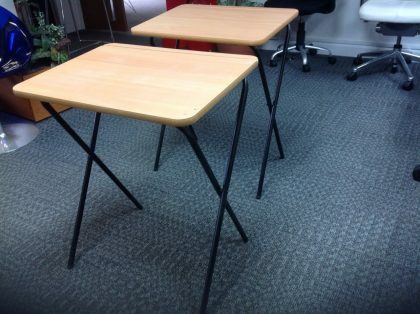 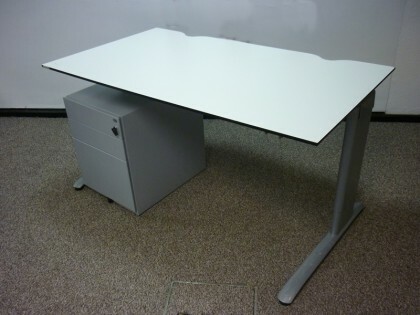 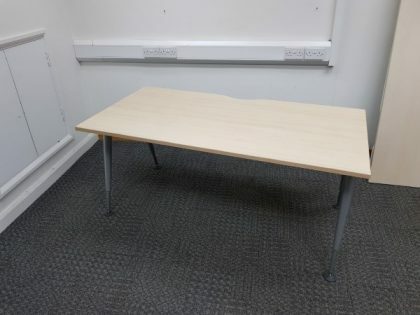 Take a look at our Second Hand Desks, we are sure we have the product that will brighten up your office. 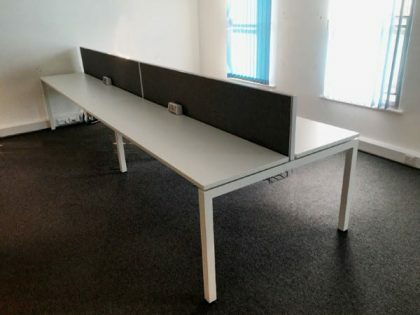 2nd User Furniture provide a vast collection of top quality used office furniture for repurposing within your office or business’ premises. 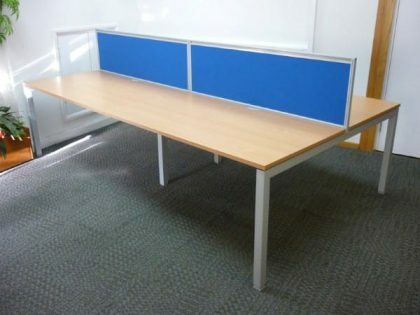 Our selection of second hand desks can be suited to every colour scheme and environment. 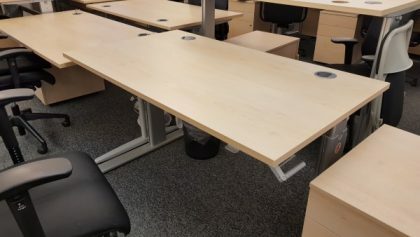 A service provided by recycling specialists Clear Environment – established in 2008 – 2nd User Furniture holds sustainability very close to its heart; operating on a strict zero landfill policy. 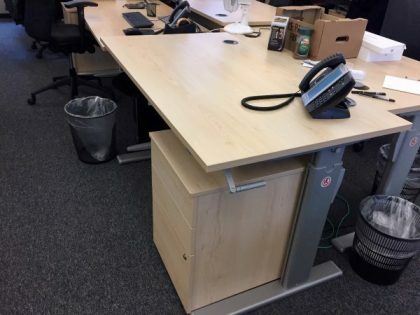 This allows businesses to run in the least environmentally intrusive manner, respecting modern society’s responsibility where reducing excess waste is concerned. 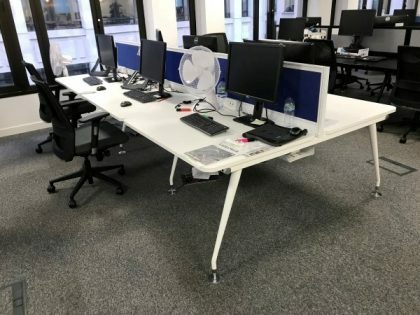 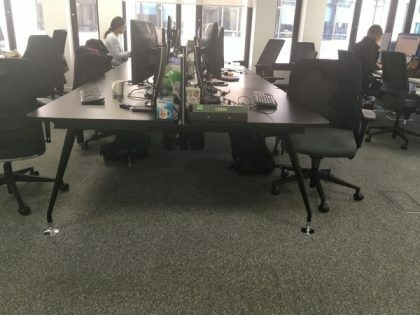 Kitting out an office with new desks and chairs can catch business owners off guard with their incurring costs, an undesirable expenditure – especially in the fledgling stages of a company’s growth. 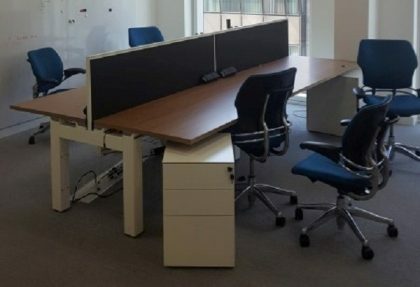 At 2nd User Furniture, we are committed to providing affordable used office desks and seating arrangements for office use, without compromising on style or substance. 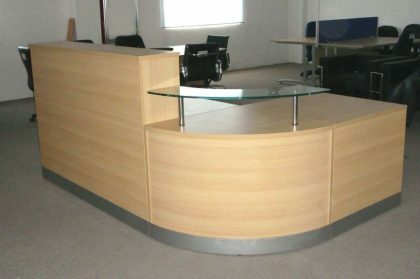 As a reception area is traditionally the first point of call the outside world will have with your business, it is crucial to give a good first impression with the use of high-calibre reception desks. 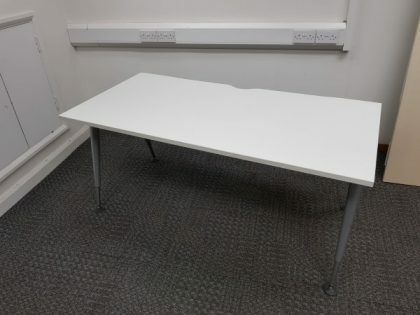 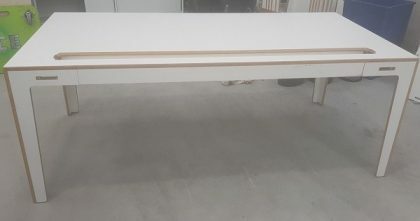 Boasting a wide range of materials and finishes, from natural beech wood, to durable plastic finishes, we have second hand desks for every industry. 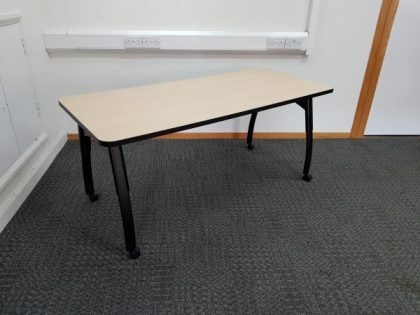 If there’s a style or material that you have in mind – currently unavailable on 2nd User Furniture – be sure to contact us with a wish list and we will endeavour to fulfill your wishes by sourcing something suitable. 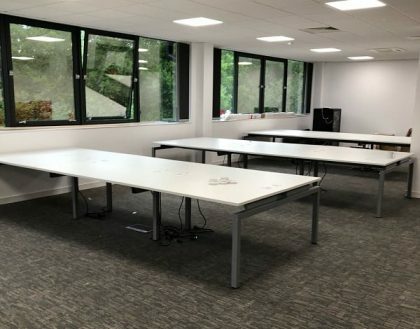 With a consistent flow of stock entering our warehouses across the UK, we can easily match you up with the furniture that will complement your business’ aesthetic. 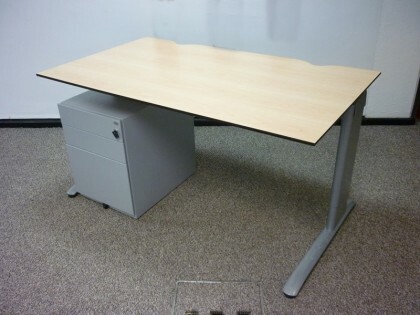 We recycle, we buy, we trade, we sell superior used office furniture; we offer the complete service.